I am counting down the days to our summer vacation! This scene so puts me right there! 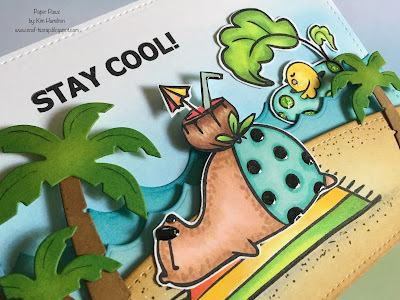 I stamped my bear, his drink and the cute bird on a floater then coloured them in with my Copics. I fussy cut those three images and then used some Lawn Fawn border dies to create my background panel, my sandy beach (where I stamped and masked my beach towel) and my waves. I used Distress Inks to colour all of those elements. I then removed the mask from the beach towel and Copic coloured it as well. 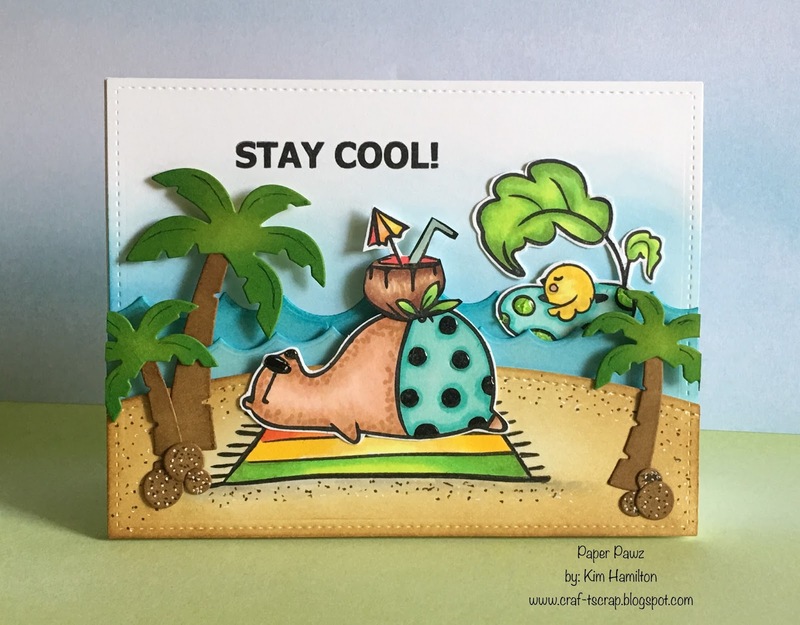 I then pulled out the new Lawn Fawn palm tree dies with some coconuts :) I die cut the images in coloured card stock and added shading also with various Distress Inks. I put my little scene together added a mix of Glossy Accents and Nuvo Jewel Drops to the scene. This card makes me happy!